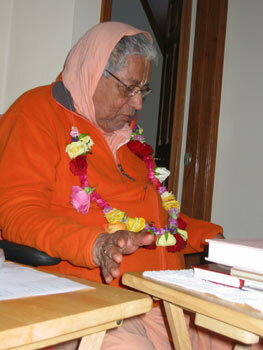 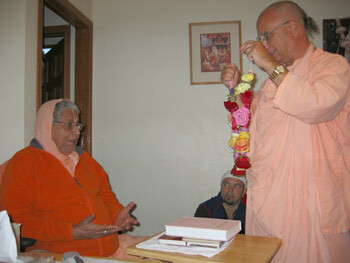 Devotees bring garlands. 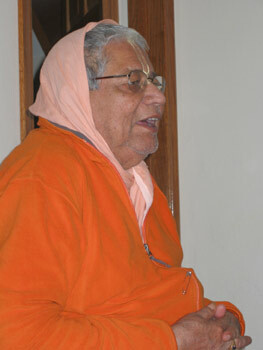 One is given to Janardan Maharaj who humbly asks, "Should I offer it to you now?" 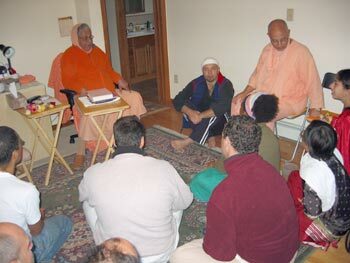 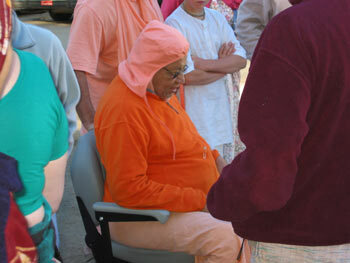 Srila Govinda Maharaj answers, "As you wish." 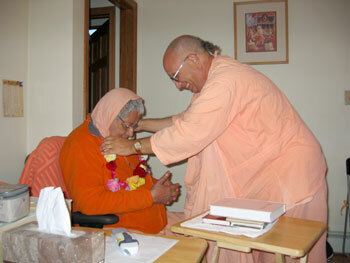 In the midst of laughter, the garland is offered. 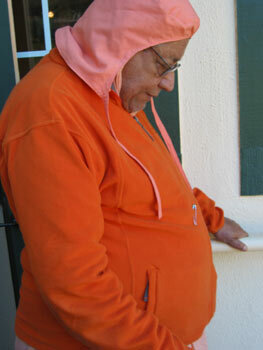 which is a major tourist attraction in Northern California. 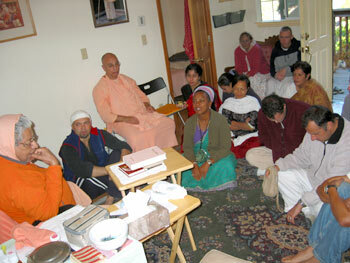 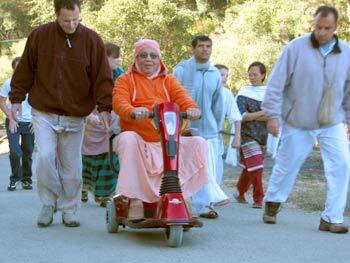 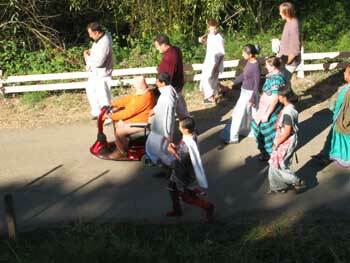 The devotees affectionately invite their Guru for a morning ride.